The CBD Isolate market is exploding, which may be good or bad depending on your supply contracts. From July 15th – August 8th, market prices for a single kilo of CBD Isolate were holding steady around $7,500 – $7,800. During the last two weeks, we have seen a 15% increase in the cost of a single kilo of CBD Isolate. We are experiencing clear pricing pressure due to an exhausted supply of raw materials, and demand for CBD which is driving prices skyward. Expect little to no relief until harvest. The biggest driver of CBD pricing is demand. The cost of a kilo of CBD isolate is spiking and volatile as the average cost of a single kilo is $8000-$9000+. The loss of market stability is due to the inelastic demand of finished goods processors to use CBD isolate in their finished goods. Processors creating finished goods experience a high profit margin per mg of CBD sold which enables them to increase their cost of goods sold without breaking the bank. Labs recognize this demand, and although the the lab’s COGS is rising due to a shortage of raw materials, I suspect their profit margins are growing as well. 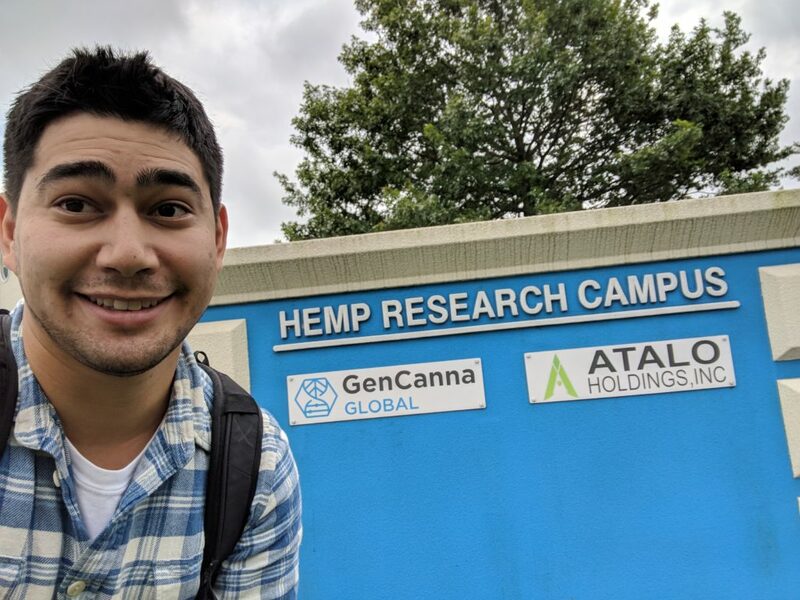 As long as a lab has a good source for hemp raw materials, from here until harvest, labs are poised to make millions with little resistance from buyers. Prediction : before harvest, we will see some companies buying kilos of CBD isolate for $10,000+. Biomass is out. I am convinced that all substantial high potency biomass lots in the USA are no longer accessible for purchase by labs. There are three major markets supplying biomass, Oregon, Colorado and Kentucky. In general, Oregon and Colorado are growing high potency CBD strains due to the legal landscape which allows for more tolerance when it comes to Delta-9 THC test results. For example, Oregon Department of Agriculture will test a field on a whole plant dry weight basis for THC, and you have a 30 day window to harvest with the ODAs blessing and certification that the lot is sanctioned. Kentucky’s laws are less forgiving, and with a background seeded in agriculture and not Cannabis production, we see lower potency strains produced. Kentucky is the only state that has substantial hemp available. Last week I wanted to get a first hand perspective of the Kentucky market. I saw hundreds of thousands of pounds of hemp, seeded, under 8% potency, and multiple companies running CO2 extraction machines that can process 2,000 lbs / day. Most of these companies have secured their biomass from here until the end of the season and are unwilling to sell anything other than CBD isolate due to the price explosion. Keep your eyes on Kentucky to lead the charge for extraction grade materials the next two months. Many labs across the USA are doing everything from cbd crude extraction to CBD isolation. When compared to other industries, CBD extraction labs are small and are struggling to maintain their access to CBD due to the lack of high quality hemp material available. For example, you have to process 5 times as much 2% CBD hemp material when compared to 10% CBD hemp material. Most labs are not set up for this scale. These labs are starting to extract isolate from crude, which alleviates a situation where production comes to a halt. If you are a farmer, there is a silver lining. Consider harvesting your hemp early. The market demand for Hemp biomass is tremendous, with prices for 8%+ material between $6.50 and $8.50+ / % pt / lb. Consider that the price of hemp will plummet after harvest will likely drop by 50%. If you plan to increase your total yield between here and harvest by 100%, you may be in good shape, although dealing with a saturated market which is a buyers market and not a seller’s market. I know of at least a few farmers who will start taking down their hemp fields in 2 weeks, which will provide a fundamental, albeit small pricing support for the skyrocketing price of CBD. Hold on my industry friends, the next two months is feast or famine. How Important is Water Quality When Growing Cannabis? 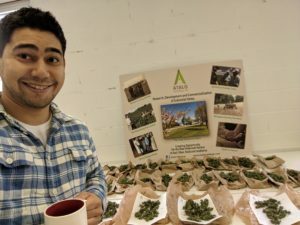 Creating the bridge between cannabis and hemp producers/processors, and retailers. Start growing your business with Kush today.